MREC researchers Brian Pearson and Alfred Huo talked with local radio station WBZW 1520 AM in Apopka about their new specialty crop grant. 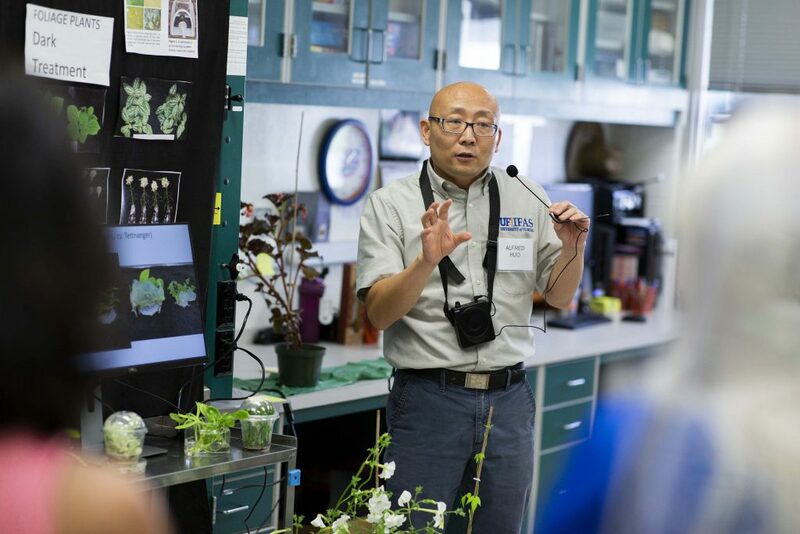 Pearson and Huo explained in the interview how the two-year grant for $194,000 will support their efforts in creating a new hops variety for Florida at the UF/IFAS Mid-Florida Research and Education Center. As craft beer remains popular, the market demand drives the need to increase the supply of hops for beer production. The interview gave Pearson and Huo an opportunity to explain what tools they are using in their research and what goals they hope to achieve as they explore this potential alternative cash crop. For more information about Pearson and Huo’s specialty crop grant, check out this article. In case you missed their interview, you can listen to it here.